Calanques rock climbing is just spectacular. 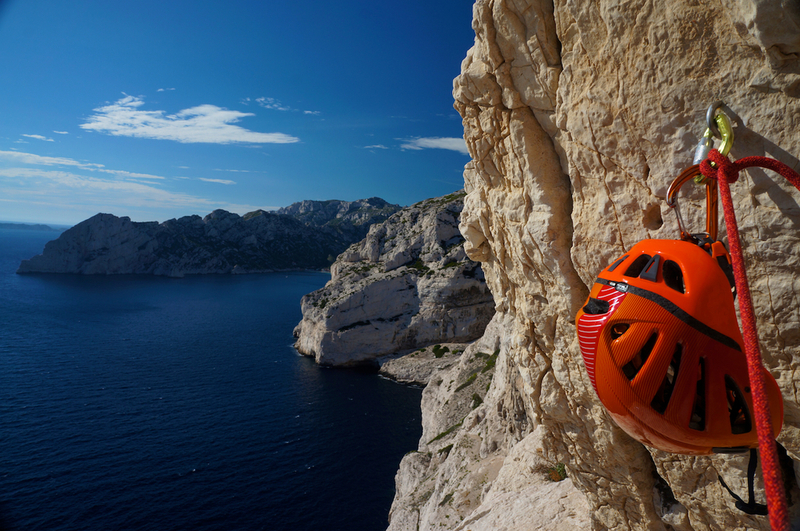 A superb rock climbing destination in the South of France near the city of Marseilles. Not many places in the world lend themselves to such a full rock climbing vacation. The rock climbing at Calanque is classic multipitch limestone climbing above the blue Mediterranean sea within many scenic inlets. There are rock climbs for all levels from beginner climbers with a little previous experience to those wishing to push their limits. 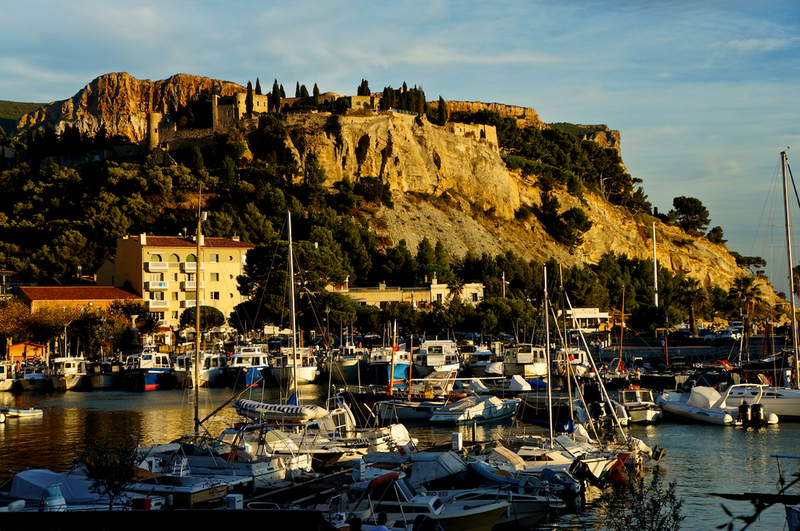 We base out of the harbor town of Cassis with its great restaurants, sidewalk cafes and beautiful sunsets. We run this unique trip on a custom basis at a 2:1 ratio. We can also combine the guided rock climbing with a full rock climbing instructional course for those wishing to further their rock climbing skills in a spectacular international climbing destination. 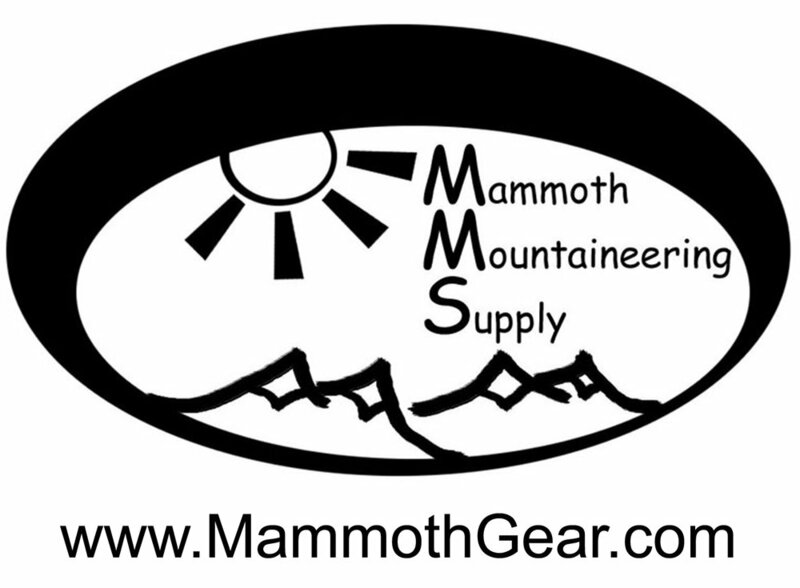 Our rock climbing guides our IFMGA/UIAGM internationally certified rock guides. We customize the itinerary and climbing to suit your goals and abilities. Your guide will also provide full concierge service including dining recommendations and organize rest day activities. The name of the game in the Calanques is fun! Participants on the Calanque rock climbing trips should have had some previous rock climbing experience. This trip is suitable for intermediate climbers with the ability to follow 5.7 (YDS) rock climbs. 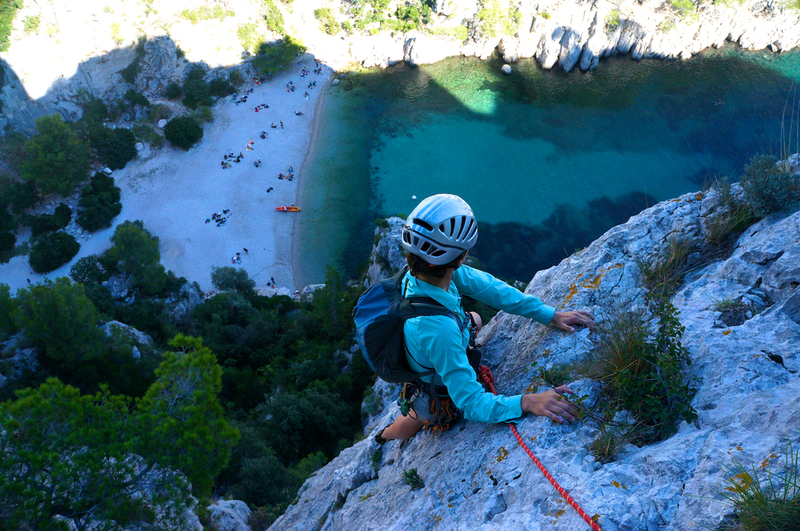 We can run the Calanques rock climbing either as an inclusive trip with lodging and transport or as a guiding-only trip. Lodging can be provided in 3-star hotels in the charming port town of Cassis with breakfast included. Private ground transportation can also be provided including pickup at the Marseilles airport or the TGV train station in Aix en Provence. Dinner is not included, but Cassis has a wide array of excellent French restaurants.